I'm really excited about this brief. It's a really cool brief and if I could do this brief for the rest of my life over and over I'm pretty sure I still couldn't run out of things to do. Which makes it difficult to choose one thing to finally settle on! 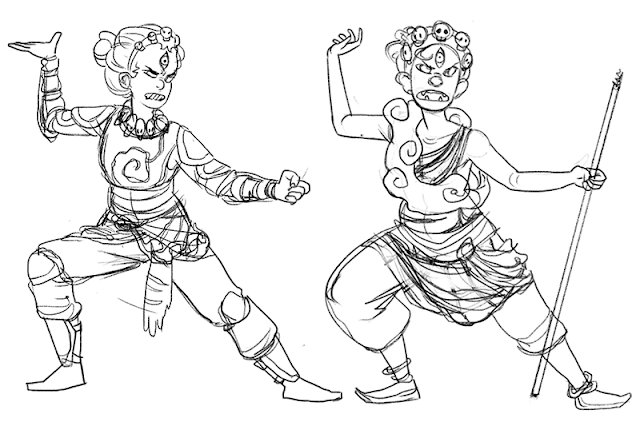 After wavering a lot, I figured I wanted to do a character based on the Indo-Tibetan goddess/dakini (a sort of sky imp) Ekajati. 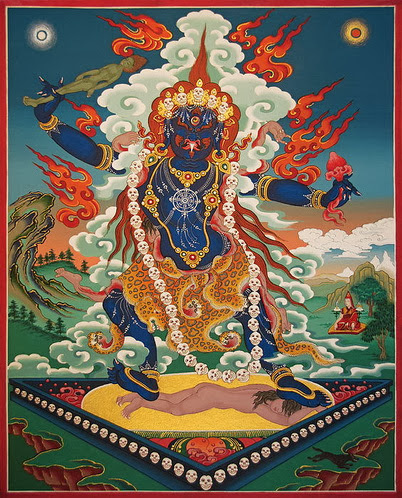 She is a wrathful protector goddess of non-duality, or something. She appears in both Hinduism and Buddhism and seems to be a positive figure, despite being quite scary and malevolent. Ekajati has some really cool and scary iconography. She wears a tiger or human skin (depends on how angry she feels I guess) and clouds and snakes and a garland of human heads. She can emanate one hundred iron she wolves from her left hand, and her servants are witches drenched in blood. I wanted to incorporate those elements into something more grounded, like a functional battle armour, implementing the more ethereal aspects of her iconography into the design, like making her wear armour decorated with clouds, for example. I find Hindu and Buddhist art really pretty because it is very bright and colourful and graphic. If I can incorporate that into my texturing and design, it'll look really awesome. For her body build, I'm referencing photos of weight lifter Samantha Wright. 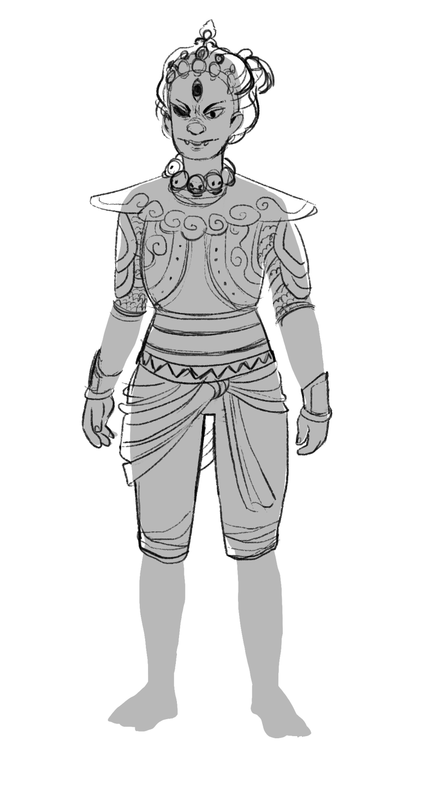 She seems to have the same sorta stocky-ish strong body that Ekajati is often depicted with.